The end of the year is approaching, and many people are taking this time to reflect on the year past and the people in their lives who have made it so memorable. Whether you’re celebrating a holiday or just celebrating the love in your life, finding a unique gift for that design nerd closest to you just got a little easier — here’s my 2009 gift list! A new color for each day! 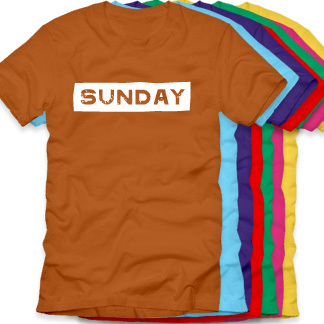 These shirts could be fun for any color lover in your life – and on those hectic work weeks — they could come in handy when you can’t remember what day it is! On sale right now at Cotton Factory for only $65 for the whole 7 T-shirt set! 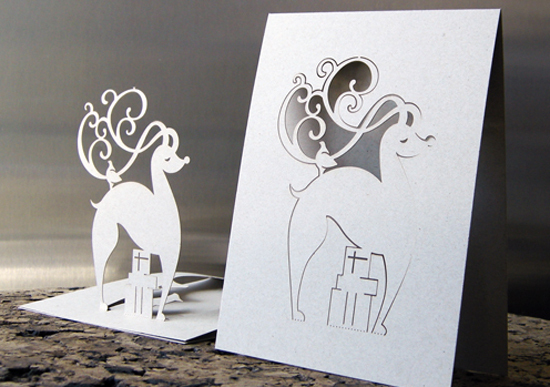 You don’t even have to be a designer to appreciate these beautiful pop-up cards at PubliqueShop. At $4.50 per card, these may not be something you will want to send out to everyone on your mailing list, but will make a real impression on those who deserve something a little special! These aren’t just cards, they’re tiny works of art! Coasters are perfect for any designers desk! 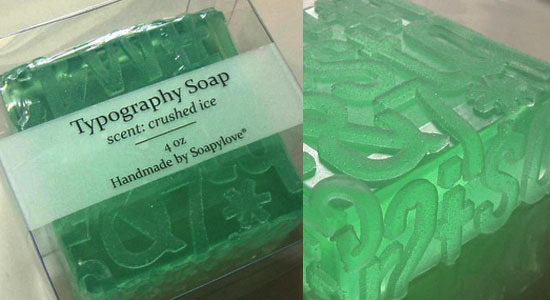 Looks like a set of 4 will run you $45 for these Bamboo letter jumbles set in Baskerville Semibold. Would it be over doing it to pair these coasters with the typography coffee table I featured last year? No gift list for designers would be complete of course without a Helvetica Fan item! This tshirt is specifically for the nerd in your life who has cross over nerdisms for typography and robots! Meet Helbotica! 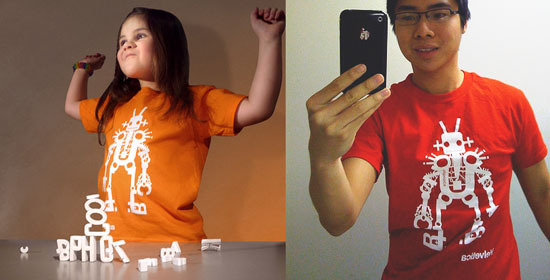 These shirts are available in sizes for Men, Women and Kids and multiple colors starting at $20. 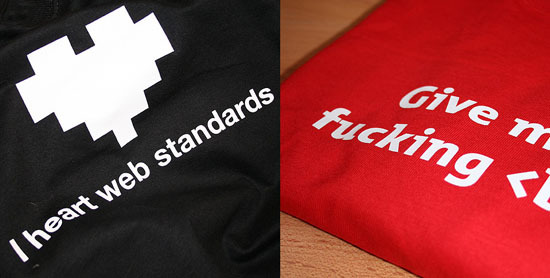 ShirtsForCoders.com has a whole store of shirts with silly slogans that show off your code nerd status. There are only 14 items on the site right now, but you’re likely to find something there that will make your favorite Web Developer chuckle. Prices start at just $19! Here’s one that’s sure to make a BANG! (Sorry, I had to say it!) 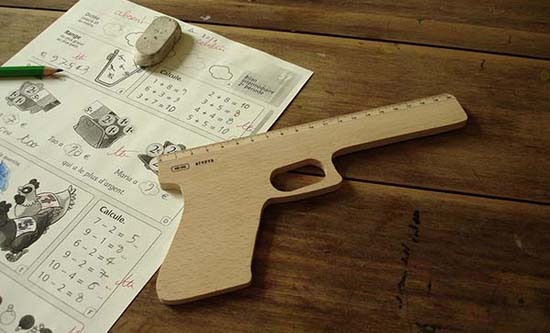 This wooden office ruler shaped like a pistol may not be something you’d put in your kids pencil box, but that special someone in your life who spends their days sketching will get a kick out of having this on their desk! It’s $12.49 from the Paris boutique, Atypyk. Ammunition not included. 7 gift ideas for you to share with your loved ones, whether you plan to grab one of these for them or you want them to get them for YOU! Is there something amazing I didn’t include? Leave a comment and let me know about it! © Copyright 2017, Liz Andrade. All rights reserved.